The venting slot serves two purposes: 1. Expel air from the plastic injection mold cavity during the injection process of the molten plastic material; 2. Get rid of the various gases produced during injection molding processing. The setup of venting slots is of great importance, especially for thin-walled products or the locations far away from the gate. In addition, close attention should also be paid to venting slots for the production of small-size or precision parts, because they are able to protect the products from surface burns, insufficient filling, as well as other defects. 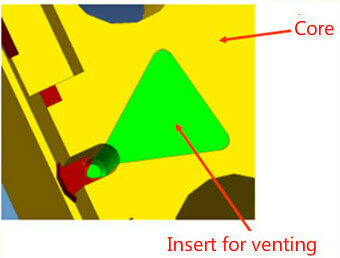 So, what is sufficient air venting for plastic injection molding? Generally speaking, if no burn marks are left on the product at the highest molten plastic injection speed, then the venting effect of the mold cavity will be considered sufficient. 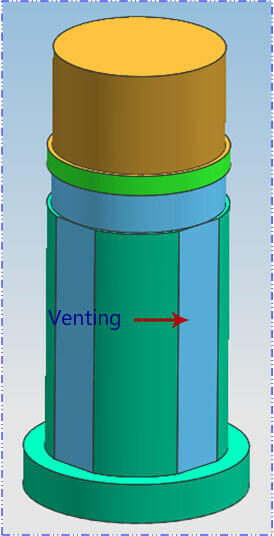 Apply peening treatment to the parting surface with the 200# silicon carbide abrasive, and open vent slots in the end section of the runner system, mainly referring to machining slots in the end section of the sub-channel, of which the width should be equal to that of the sub-channel while the height may vary from material from material. (4) When it is extremely difficult to expel the air out of the mold, an insert should be adopted. 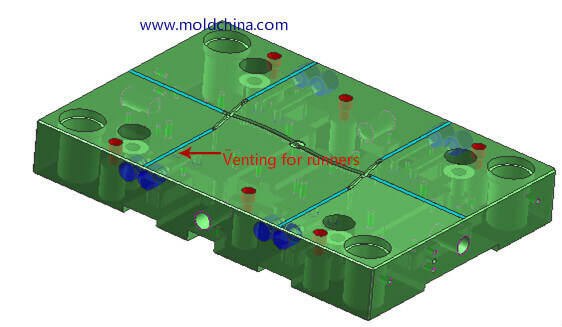 If it is not easy to machine a vent slot in some locations of a mold, such as in the corners, the insert molding process may be appropriately applied on condition that product appearance and precision are not affected. This method not only helps with venting, but is also able to lower the difficulty level for machining, and convenient for maintenance, too. 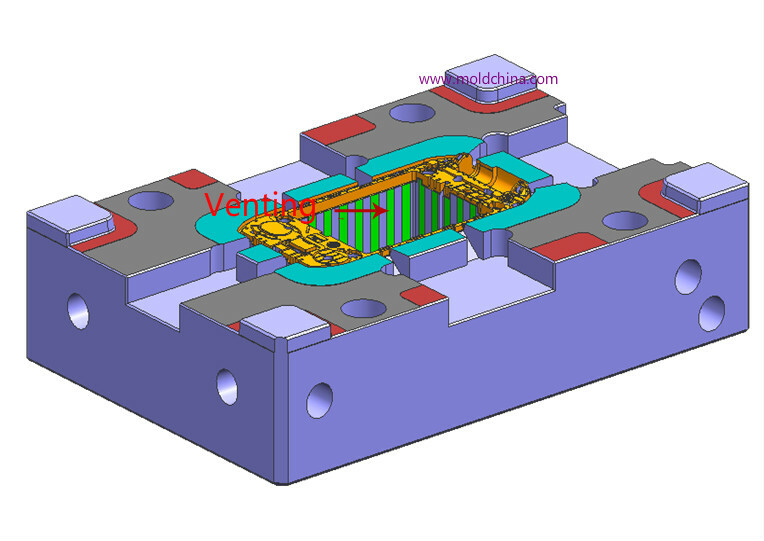 The width of the vent slot ranges from 1.5 to 6mm, while the depth design should be able guarantee that the plastic material will not get into the slot to cause flash. 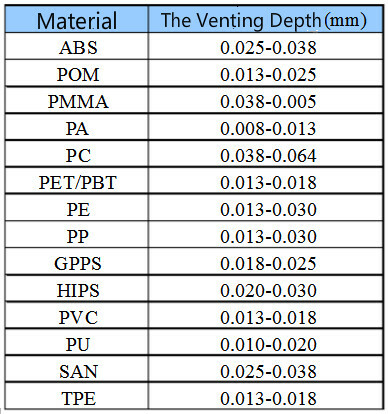 Its value is dependent on the viscosity of the molten plastic, but usually its applicable range is from 0.013 to 0.05mm. 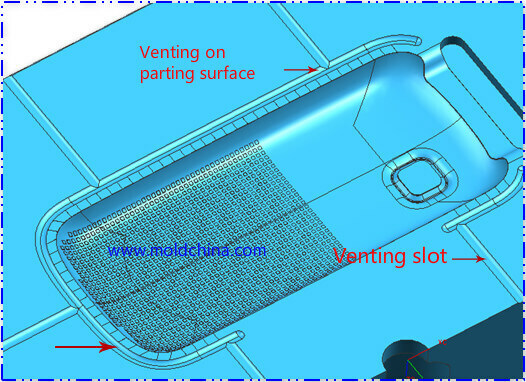 Appropriately designed venting slots are able to drastically reduce injection pressure, injection time, pressure holding time and clamping force, thus making the plastic injection molding process much easier by improving production efficiency, lowering production costs and saving the energy consumed by machine.